While to some businesses print marketing might be seen as a dying media, it is very much alive and kicking. Print marketing today can be much more than your traditional news based print. Using print finishes on your marketing materials makes them personal, exciting and above all engaging. We all know that digital marketing is a powerful tool but it cannot replicate the tangibility of printed media on the digital medium. Using special print finishes such as embossing or die cutting on your printed materials can help you stand out. Capture the attention of your customers and potential customers with special finishes. Let’s take a look at some of the print finishes available to you and your business to help your print marketing stand out. Die cutting is the process of adding shaped edges or cutouts to your page or documents. It can be used to create an aperture on a front cover that shows the content of an inner page. Die cutting can be used to add curved edges to your folders. Die cutting is done by creating a cutting forme. They can be used on most paper weights, but more detailed and intricate patterns work better on heavier stocks. When you think of foiling you will probably imagine metallic or shiny finishes. Whilst these look great, foiling is also available in a variety of finishes. These include holographic, matt, fluorescent and transparent. Foiling is a great finish to help important elements of your printed media stand out. They will pop off the page, and give added emphasis to elements such as your logo, title or typography. Add depth and texture to your printed materials with embossing or debossing. An embossed pattern is raised against the background. A debossed pattern is recessed into the material. Both methods are highly effective at capturing attention. Both options will make your print materials even more tactile. Spot UV coating is especially effective when used on a stock that has been matt laminated. It is used to highlight key areas of information on your page. It will help guide the reader to where you want to attract their eye. Whether you use a matt or glossy laminate it can improve the quality of your printed marketing materials. A gloss laminate will make your print media feel high quality and smooth. It can be used over imagery to enhance the contrast and sharpness of photography. A matt laminate will not appear shiny, and gives a more smooth non-reflective surface. It will still give your materials a robust and high quality appearance. Blackberry are a creative design agency. We work with businesses in Redditch, Worcester, Birmingham, the Midlands and nationally. We know print inside out and have the experience to recommend the right solution. Blackberry has a long history of designing for print. We also provide a printing service to ensure the print is as good as the design. Blackberry can source high quality print finishes at competitive prices for you. Long-standing relationships with printers means we can match each job with the right printer. Got any questions about our printing services, print finishes or your print marketing campaign? 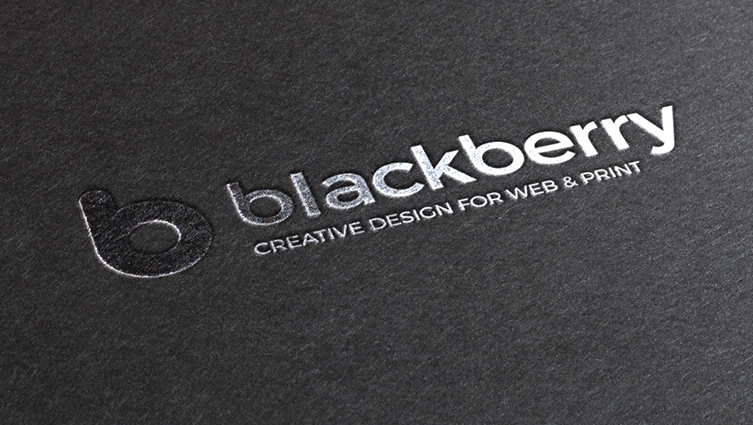 Speak to Blackberry Design to see what we could do for your business. Get in touch on 01527 517309 or fill in our contact form.